I would like to see an eider someday, one such as this King Eider. 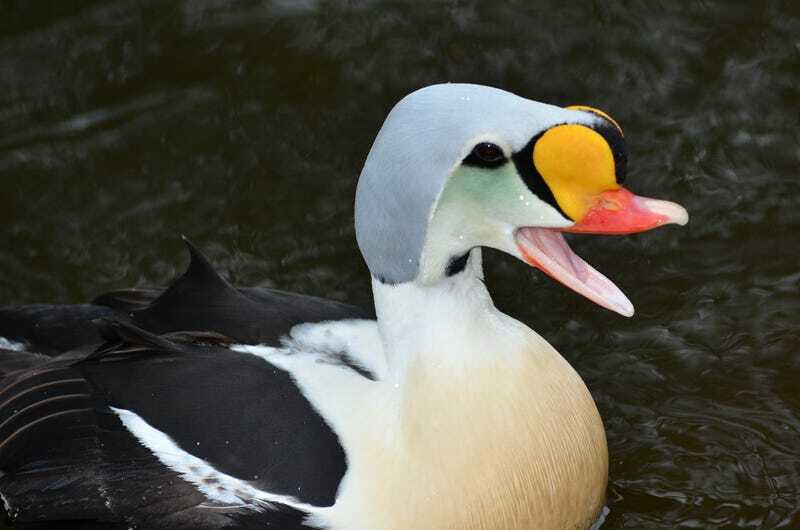 Eiders live in the icy northern waters of the world, balls of fluff in the cold expanses of the arctic. They sound silly.